Bootstrap is the most popular HTML, CSS, and JS framework for developing responsive, mobile first projects on the web and we use it on our blog WordPress Theme. 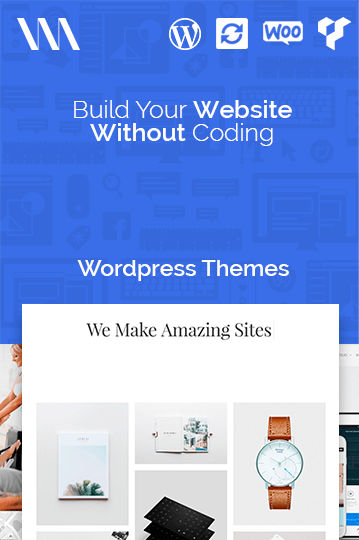 You gain this plugin on our Blog WordPress Theme. Visual Composer will save you tons of time working on content. Now you’ll be able to create complex layouts within minutes! There is no need to manually test anything in different browser versions and platforms. Perfect in all browsers. Use Theme Options to get your site up and running in minutes and start customising your new site with just a few clicks of the mouse with our Blog WordPress Theme. Google Maps helps you create, customize and publish maps to share what you know and where you are in the world. You can have a quick look into neatly packed docs that cover and explain many bases for you or your team.